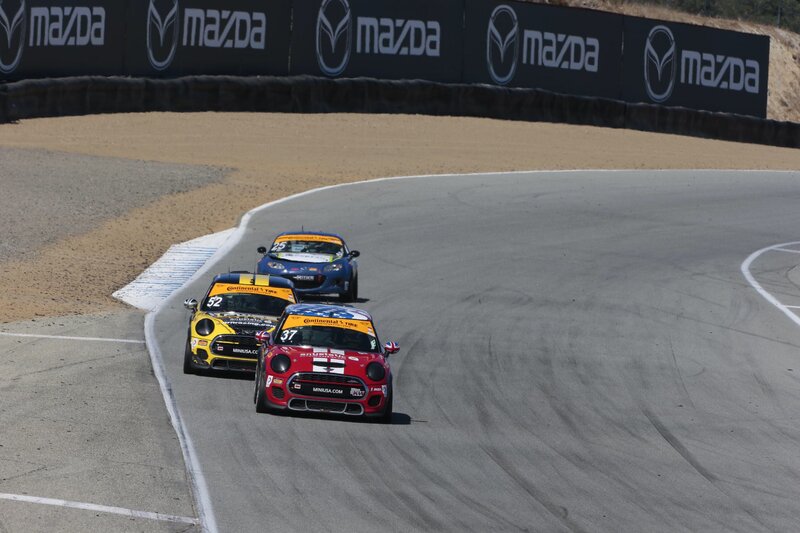 Round 9 of the Continental Tire SportsCar Challenge was the four hour endurance race at Mazda Raceway Laguna Seca. It was a tough race for the MINI JCW Team. While we don’t have a full race recap for you we can tell you that their was a lot of contact in this race. The #52 lost a wheel sending them into the wall effectively ending their day. The #73 had trouble early but rallied back to take the lead and was in first with 18 minutes to go. Then the #26 Mazda used its front bumper to push the #73 out of the way. IMSA deemed it fair, as they often do when someone moves a MINI out of the way. Soon after the #73 would suffer a flat tire and fall further back in the field. Next up on the calendar is the season finale at Road Atlanta on Friday October 6th.